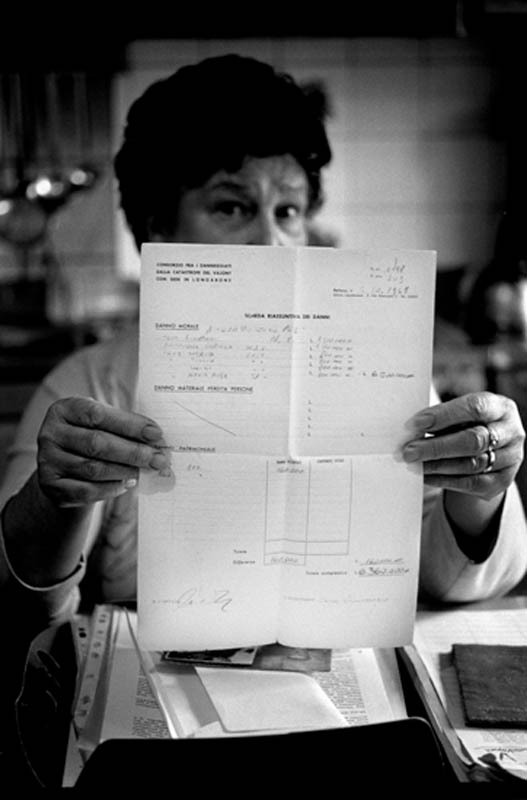 Carolina Teza demonstrating the "invoice" of the compensation given to her husband for the loss of his parents and four brothers and sisters. Only 20 years old he was obligated to accept a compensation of 3000 euro, but he has never recieved any psycological help. Carolina is still fighting today for an official aknowledgement for a foreseen tragedy.